Meet the author and canine inspiration behind "Amos Likes to Jump"! 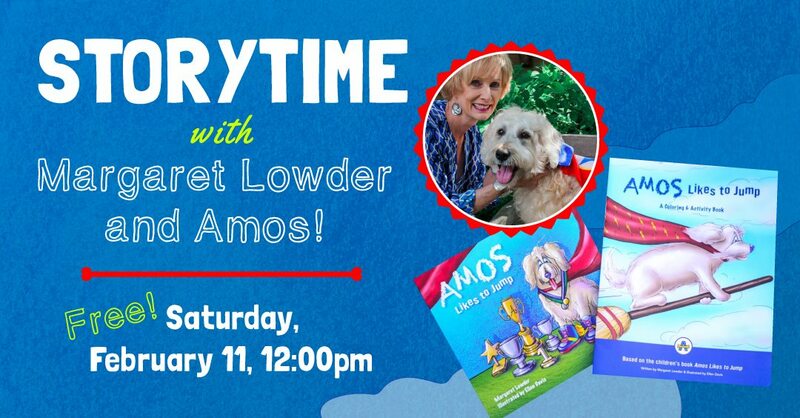 Montgomery's own, Margaret Lowder is joining ASF for a special Storytime event on Saturday, February 11 at 12pm. Ms. Lowder will be treating the youngest ASF patrons with a special reading of her book and will be bringing her trusty sidekick and superhero, Amos. Children will be delighted to meet Amos and hear about his wonderful adventures. Her book, "Amos Likes to Jump" explores the value of individuality, and why being “you” is the best way to be! Come along with Amos as he jumps through life! Tickets to "Because of Winn-Dixie" are available at asf.net.